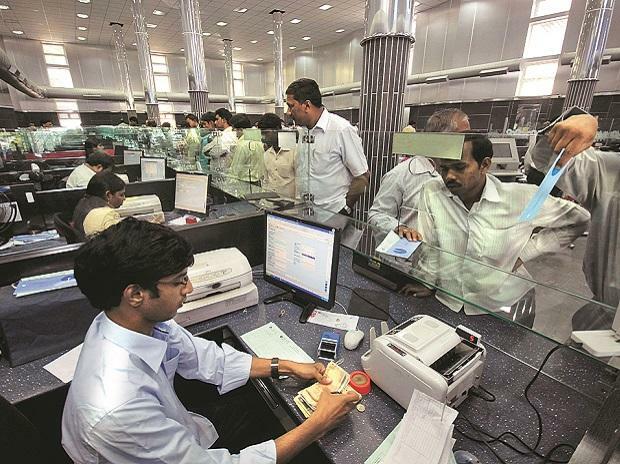 Public sector banks (PSBs) would require another Rs 50,000 crore fund infusion in 2019-20 to help enable credit growth of 11 per cent, SBI said in a report Tuesday. In December 2018, the government enhanced bank recapitalisation outlay from Rs 65,000 crore to Rs 1,06,000 crore for the current financial year. As of December 2018, a total amount of Rs 51,513 crore has been infused into PSBs. "We also request that government should infuse the promised recapitalisation amount of Rs 54,487 crore (net of promised Rs 1,06,000 crore) by March 2019. This will act as a big enabler for banks. For the record, PSBs may require another Rs 50,000 crore of growth capital in FY20," SBI said in its 'Ecowrap' report. Recently, RBI has deferred the implementation of the last tranche of 0.625 per cent of Capital Conservation Buffer (CCB) from March 31, 2019, to March 31, 2020. This one year window has afforded an opportunity to PSBs by an estimated relief of around Rs 35,000-38,000 crore, it said. "Assuming an 11 per cent credit growth in FY20 with credit risk-weighted assets of 70 per cent (RWAs to Gross Advances ratio declined from 80.26 per cent in Sep-17 to 71.20 per cent in Sep-18), PSBs may be requiring around Rs 50,000 crore growth capital in FY20," it said. However, it said, the same also depends upon some major variables that are alternate long term investor, recoveries from NCLT, investment environment, out of NCLT settlements, MTM provisioning of investments, additional or provision write-back. "We now understand that NITI Aayog is actively considering an Area Based Income Compensation (ABIC) scheme for farmers," it said. "Our estimate suggests that if an ABIC scheme akin to Price Differential Scheme (PDS) is implemented for Rabi crops, i.e, Wheat, Barley, Gram & Lentil only, the cost could be around Rs 17,000 crore (Rs 1600/acre) whereas if income support at equivalent Rs 4000 per acre provided under same crops, then the cost could be Rs 41,969 crore which is significantly higher than the differential scheme. Hence ABIC scheme is indeed cost effective," it said. However, the ABIC scheme has many disadvantages, it said. "We thus actively recommend an Income Support scheme on a per farmer basis to be rolled out on an immediate basis in Rabi season itself. The Government could decide the quantum of income support per farmer (Rs4000 per farmer for all farmers is Rs 60000 crore if, for small and marginal farmers, the cost could decline to Rs 50,000 crore)," it said. It also emphasized that fiscal policy choices must not obfuscate the rollout of such an income support scheme at least for now.